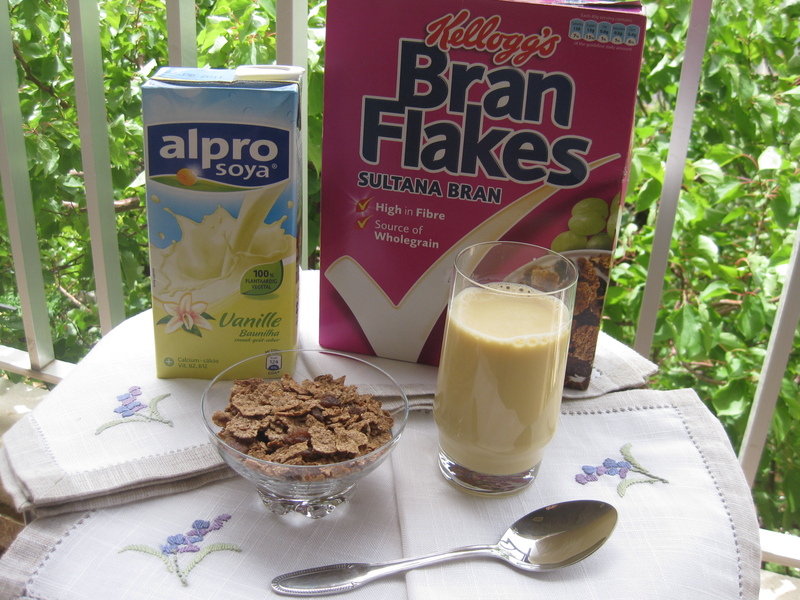 Just like every day, i started my day with two glasses of water on an empty stomach then had my cup of coffee (1 tsp of Nescafe, 3 tsp of fat free coffee mate, 2 tsp of sugar) followed by 30g of Bran flakes with a glass of vanilla flavored soy milk (Alpro) ! This combination is a true delicacy and is most importantly fulfilling! I had a banana as a first snack! I started my lunch with a salad made of lettuce, green thyme, mint, yellow peppers, tomatoes, green onions with sumac, pomegranate molasses and lemon juice!Then had a bowl of lentils soup! Lentils are high in proteins, fiber and low in fat! 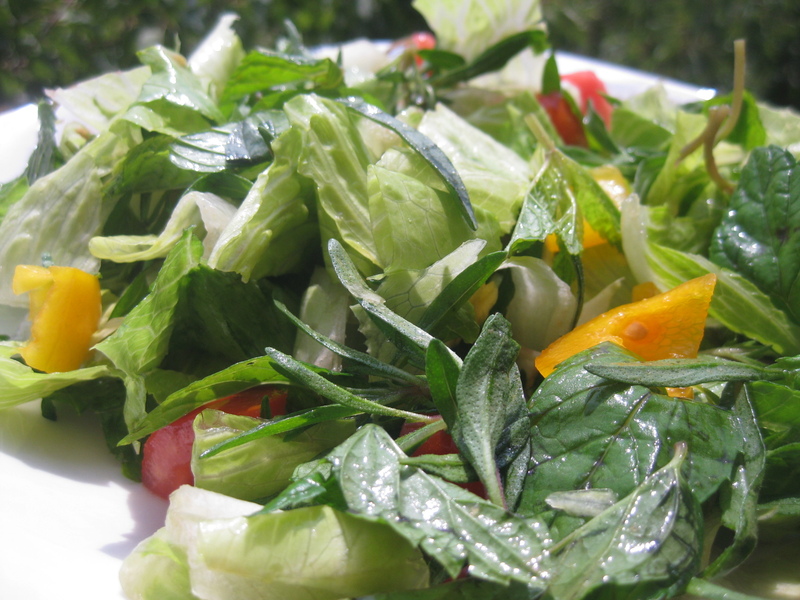 They fill you up and enrich your body with enough iron, magnesium, folate and potassium! Adding salt while cooking lentils will toughen the grains, thus you must always pay attention to add salt at the end! As an afternoon snack i had a bowl of homemade fruits salad! 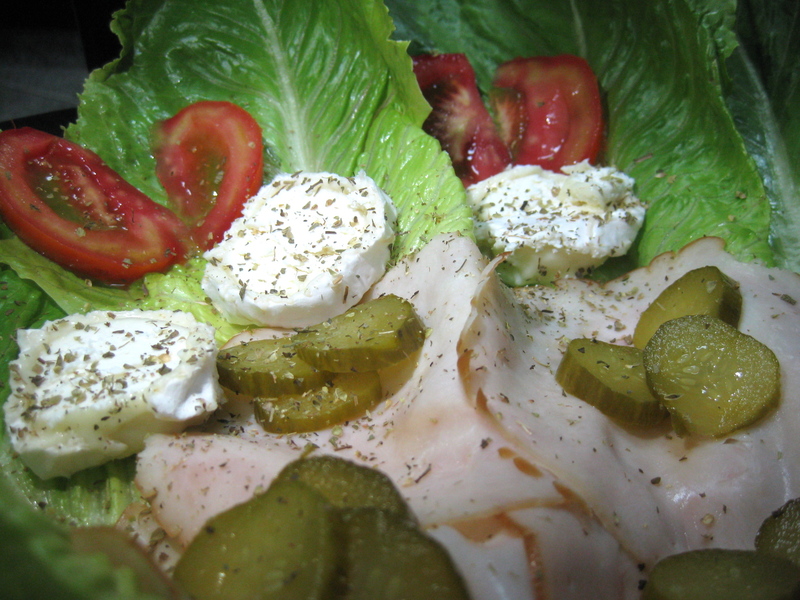 I had for dinner lettuce wraps made of 4 slices of turkey, 45g of goat cheese camembert (that’s among my favorite cheeses), tomatoes and pickles! Be sociable while eating and enable new conversations each time you find yourself on the dining table. Take thirty minutes to finish each meal, since eating slowly can reduce your intake by 70 calories per meal, which translates into a saving of more than 200 calories per day!